In 2015, communities from all over the world are gathering in Québec City, Canada, for the World Uranium Symposium from 14-16 April. The Symposium will address a broad range of issues related to the nuclear fuel chain, including uranium mining, radioactive waste, aboriginal rights and nuclear weapons proliferation. Your support will enable three Co-Chairs of ANFA to take up this rare opportunity to share the Australian nuclear story with an international audience. While in Québec City, the ANFA delegates will be able to meet with Mohawk and Cree First Nations peoples, who are leading an inspiring campaign against nuclear expansion on their territories. A minimum of $6000 is needed to fund flight, food and accommodation costs. If we raise above this target, more Aboriginal delegates from ANFA will be able to accompany the three Co-Chairs and contribute their voice to the Symposium. You can make a donation of any amount and get a tax-deductible receipt OR you can choose a prize, please note that donations with prizes are not tax deductible. Uncle Glen Cooke is a Ngaanyatjarra man from the Ngaanyatjarra Nation. He was Born in Jameson and grew up in the Warburton Ranges, Western Australia. Mr Glen Cooke is a Co Chairperson for the Australian Nuclear Free Alliance and has been a caretaker of country for all his life. He has taken a strong stance against uranium mining in Western Australia, while also campaigning against a proposed nuclear waste dump at his home town of Warburton, Western Australia. Toro Energy has a proposed uranium mine at Wiluna in Western Australia, which is part of the Country that Mr Glen Cooke lives in. 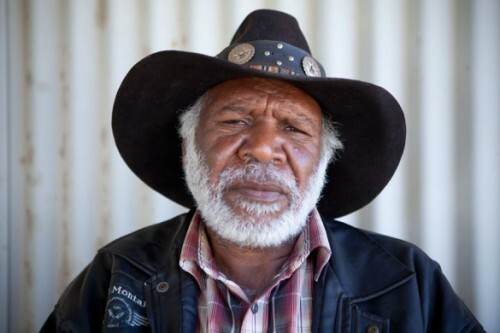 He has played a key role in educating the community on the dangers of uranium mining and has been outspoken at Toro Energy's AGM's over the last few years. Mr Cooke is also an accomplished artist and began creating art at a very early age. He is happy to have his work exhibited in his local gallery. He is a proud father of 6 children and a loving grandfather of 7 children. He has been travelling Australia widely, attending meetings and rallies to be a strong advocate in caring for country and to be a role model for young ones to walk in his footsteps, to care for and protect country. 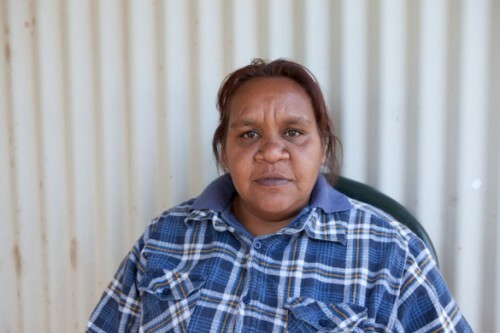 Barb Shaw is an Aboriginal leader from Central Australia. Amongst many community and family roles, she has been a spokesperson for the campaign against the draconian NT Intervention. Barb has run as a Greens candidate for the seat of Lingiari in the Northern Territory for several federal elections. Barb is a committee member and Co-Chair of the Australian Nuclear Free Alliance, co-ordinator of the Tangentyere Women's Committee and a representative of Aboriginal people at a number of United Nations and other international forums. Peter Watts is an Aboriginal man of the Arabana People of South Australia. Born in Adelaide in the mid-1960's, Peter now lives outside of Adelaide but has travelled extensively around Australia over much of his life. Both his mother and grandmother were subjected to the radioactive cloud from British nuclear weapons testing on South Australia in the 1950's and 1960's. 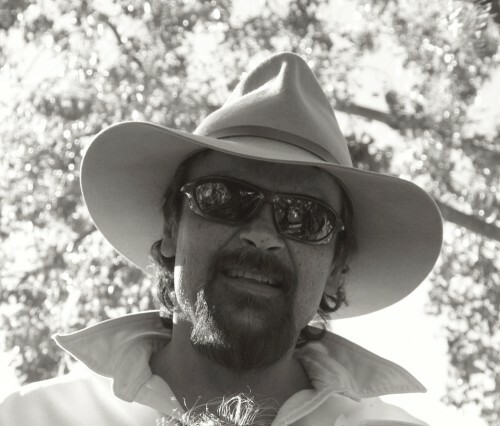 Peter is the Co-Chair of the Australian Nuclear Free Alliance and has been active for many years in Arabana organisations and community politics. Arabana People's country extends from the western side of Lake Eyre, north to Oodnadatta, south to Coober Pedy. BHP Billiton's controversial Olympic Dam Uranium Mine takes 37 million litres of water every day from the underground Great Artesian Basin on Arabana country, severely depleting the natural springs, which are significant cultural and ecological sites. For more information on the work of the Australian Nuclear Free Alliance, please visit www.anfa.org.au. Photos by Crystal McCabe and Jessie Boylan. Help delegates from the Australian Nuclear Free Alliance get to the World Uranium Symposium in Québec City, April 2015, to connect with Canadian First Nations peoples for a nuclear free future. Get a personalised postcard from the crew in Québec in April. Your choice of the classic anti-nuke, Walkatjurra Walkabout or WA Goanna t-shirt. Stylin'. Your choice of t-shirt + the beautiful anti-nuclear card deck created by 56 artists. One for you and two for your friends. Created by 56 artists, this is a one-of-a-kind deck of cards. A large print of the beautiful painting by artist Vicky McCabe while walking her country, posted to you. Your choice of adventure through Australia's nuclear landscape. The Rad Tour will run through Victoria, NSW and South Australia in early July and the Walkatjurra Walkabout will traverse the heart of WA in August. You will also get all of the above prizes. The original woodblock print that inspired the new WA Goanna T-Shirt, by Bailingup artist Shavi. Only three available.